Suzhou is located in the southeast of Jiangsu Province. It is a national famous historical and cultural city, a scenic tourist city, a national high-tech industrial base, one of the important central cities in the Yangtze River Delta urban agglomeration, and an important part of Jiangsu's Yangtze River economic belt. The city of Suzhou City was built in an early time, basically maintaining the unique double-board pattern of “water and land parallel, river street adjacent”, the river system of “three verticals, three horizontals and one ring” and the uniqueness of “small bridge water, powder wall and tile, historic site” . Suzhou is one of the first 24 national historical and cultural cities in China, with a history of nearly 2500 years, and is the birthplace of Wu culture. Most Suzhou people belong to the Jiangsu and Zhejiang ethnic groups and use the Wu language. Suzhou gardens are representative of Chinese private gardens. Suzhou is the center of eastern food culture and boasts one of the three major food cultures (Beijing style, Suzhou style and Guangzhou style ) - the place where the Suzhou style food culture is developed. Suzhou snack is one of the four well-known snacks in China. 江河之珠 There are many specialty produncts: Su Embroidery, Song brocade, Biluochun tea, Taohuawu wooden board painting. 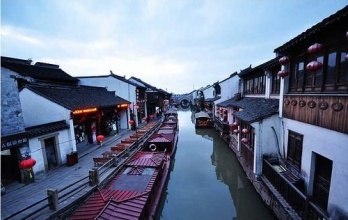 Suzhou is one of the economic pillar cities in Jiangsu Province. The total GDP of Suzhou is the largest in the whole province for a long time, far higher than that of Nanjing and Wuxi city. In 2017, Jiangsu's GDP was 165.55 billion yuan, ranking seventh in the country's cities, closely following Shenzhen.